Great Bookham EC are proud to once again host British Dressage Quest Club, including MyQuest and TeamQuest competitions, throughout 2019. Either enter as an individual, or as a team of four to be in with a chance of winning one of their coveted rosettes. Alongside BD Quest Club classes, we will be running our regular unaffiliated classes from intro to novice. These will be run in conjunction with the BD classes, but will be placed separately. For those who fancy doing a bit more then have a jump round our clear round course in one of our well maintained grass rings. Heights start from 60cms and our lovely event staff will be on hand to help you get those ribbons! There really is something for everyone. 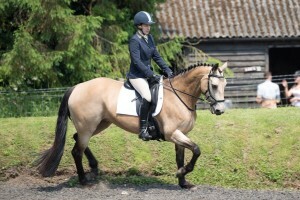 Dressage is pre-entry only, clear round £6 at ringside on the evening. For more information please see our Omnibus Schedule!